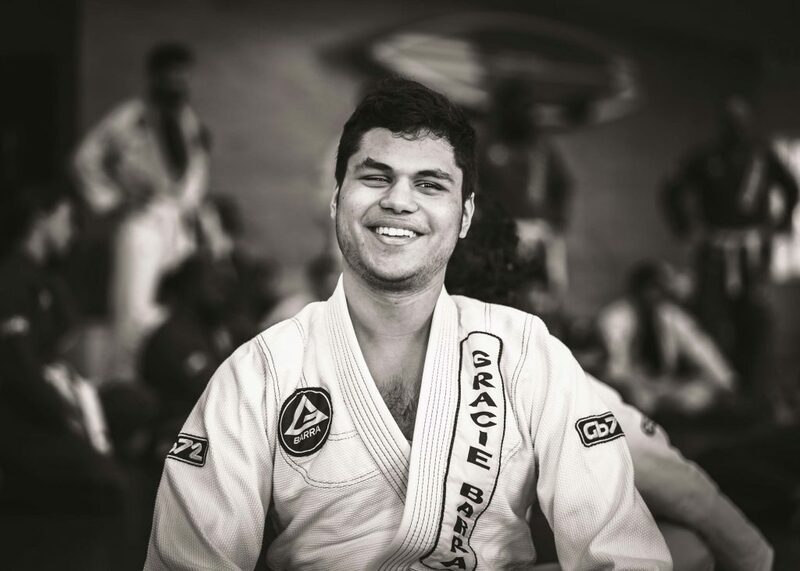 Featuring Rashad Naqeeb: Gracie Barra White Belt. 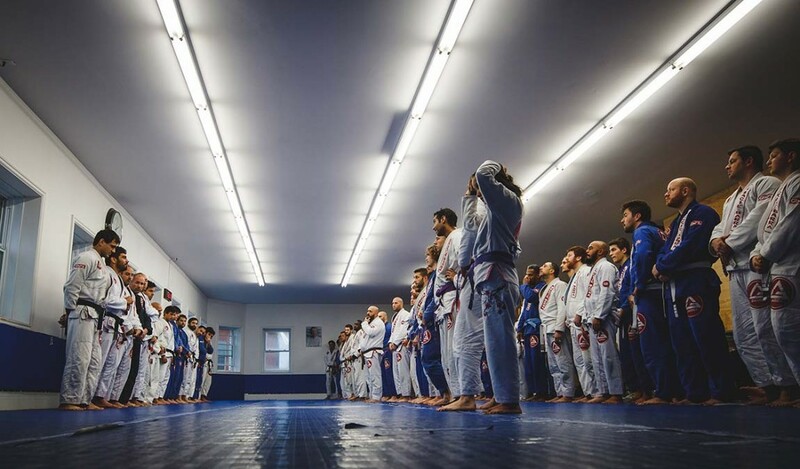 Dan Aponte: So Rashad, first off, thanks so much for agreeing to be in this issue of “Why We Fight”, I’m pretty excited to talk to you and get a sense of what jiu-jitsu means to you. So, tell me a bit about yourself, how old are you, how did you first get introduced to BJJ, etc. Rashad Naqeeb: So I’m 17 years-old, and I’ve only been doing jiu-jitsu for a few months now. Actually, I was first introduced to jiujitsu by my younger brother, Youssef. He’s 9 years-old, and he’s been practicing jiu-jitsu for over a year now. Man, he loves it so much. He’s been trying to get me to start ever since he started, actually. He was teasing me, saying things like: “I can beat you up now!”, and “If you tried it, it would be an even fight”, stuff like that. So, eventually I caved and thought I might as well give it a shot. I’ve never done martial arts before, it just didn’t seem like something that was accessible to me; in most martial arts, you need reaction time, you need to see people’s movements and actions so, yeah. That doesn’t really lend itself well to me, I like my face in the shape it is *Laughs*. DA: So I guess it’d be good for you to explain a little bit about your condition, for those readers who don’t know you and your brother. RN: Right, that would give a little bit of context, eh? So my brother and I’s condition is called LCA (Leber Congenital Amaurosis). It’s a genetic condition, though oddly enough, nobody in my family has ever had it. The condition essentially leads to progressive retinal degeneration which eventually leads to total blindness. Children born with it start of with poor vision, then that degenerates to slight light perception and then they become completely blind. I actually don’t remember any of that, the vision or light perception, because I lost it at such a young age. I was told that at one point, very young, I was able to differentiate colour, but I have no recollection of it. I actually have no concept of colour, or of light. So yeah, it’s quite a rare condition (1 in 40,000 newborns), and the ironic part is that both my parents are actually ophthalmologists, and their 2 kids have a rare genetic disease that nobody as far back as 5 generations that we looked back, ever had. DA: Wow, that’s really quite interesting, and like you said, the irony is quite real there. And so how do you function day to day; are there certain things that are more challenging, do you even feel like this is a disability? RN: Well, it’s not as affecting to my day to day life. There obviously is a level of adaptation that’s been needed, but truth be told, I’ve “never not” been able to do something. There are some obvious things I can’t do, like I said blocking a punch, or catching a ball being thrown at me, but I’ve never struggled to do any activities of daily living, I just live my life, and this is how I know the world. I think just as with anyone’s circumstances, it’s as limiting as you make it to be; I’ve seen people who just limit themselves, and don’t really do too much with their days, and then other’s who have gone on to do amazing things. So it’s not difficult, really. It doesn’t have to be that way. DA: That’s a pretty awesome outlook, Rashad. Honestly. And so, you and your younger brother both have this rare genetic condition, do you both sort of take solace in the fact that you can share this experience together? RN: Well, to the extent that he can, as a 9-year-old. *laughs* I mean, it’s all he’s ever known, so he’s a pretty typical 9-year-old kid. He’s much more concerned about beating his friend at some game, than thinking about “what life is like as a blind person”. *laughs* I assume that as we both grow older, we will be able to bond, or connect, or vent about this more. For now, though, he just wants to play with his friends. DA: Right, I guess that makes sense. Sometimes as a sighted person, you think it’d be so difficult to be blind, but since it is the only way you’ve known the world, to you and your brother, it’s just normal. So tell me a little about your jiu-jitsu experience so far. I know you haven’t been doing it for very long, but that’s almost a good thing since many of us have been at it for years, and forget the early days. RN: Well people here are great. Like you said, I haven’t been here for very long but everyone has been so welcoming, and people are so generous with their time, and patient. And, I mean, not just with me, I can tell that people are so supportive of each other, and willing to help each other out. For the little time I’ve been here, that’s the impression I get, that the feeling I have when I’m here. Every time I’m sparring with someone and then get confused by a technique or something, no matter how basic, my partner has been willing to explain it to me. And what’s cool is that it is pretty intuitive, and so when you’re trying a move and it doesn’t work well, with a few adjustments, it just clicks into place and makes sense. I feel like jiu-jitsu just sort of makes sense. It flows well, and the few basics I know make sense. One other cool thing about jiu-jitsu for me is that it’s actually been really mentally freeing; this is one of the first physical activities or sports I’ve done where I’m kind of on the same footing, or playing field, as someone else with sight. 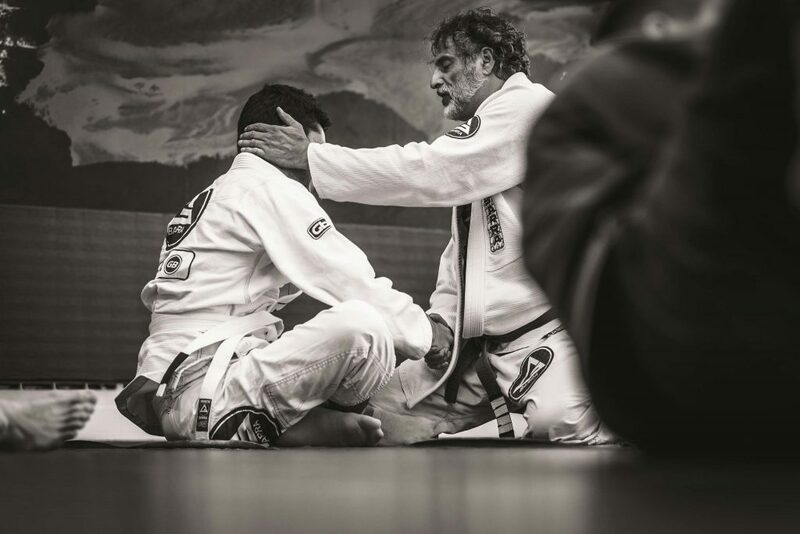 In that sense, jiu-jitsu has given me the chance to practice a sport or martial art, where it feels fair to me, and my blindness isn’t a disability. It’s been an equalizer for me. DA: Actually, yeah sometimes when I’m grappling, I’ll close my eyes, and almost ‘feel’ my way through a move, or an escape. Sometimes my gi or my opponent’s gi is covering my face. It’s really hard to fight and breather, but not because I can’t see at that moment. RN: Exactly, jiu-jitsu is much less based on your speed, or whether you have fast reaction times. Jiu-jitsu is based more on your ability to adapt. Which I guess is pretty fitting for me, since I’ve learned to adapt to a ‘sighted’ world with my blindness. DA: So Rashad, why do you fight? RN: For now, I’m fighting for 2 reasons: it’s a lot of fun, and it’s a martial art that I can actually practice. As a method of self-defence, it’s something that I can actually do. I’ve spoken to a few martial artists, and they say that most fights end up in some kind of grabbing or grappling situation, or on the ground. I think jiu-jitsu will provide me with tools I’ll be able to use if that ever happens. But for now, I’m just a white belt having fun and learning a ton! Leber congenital amaurosis (LCA) is an inherited retinal degenerative disease characterized by severe loss of vision at birth. A variety of other eye-related abnormalities including roving eye movements, deep-set eyes, and sensitivity to bright light also occur with this disease. If you would like to learn more about LCA or to learn how you can be involved by helping or donating, visit the Foundation Fighting Blindness at http://www.ffb.ca .